As a parent, there are a million things for you to worry about, one being the safety of your children. That’s why it’s so important to be super vigilant in monitoring the activities of your young ones between the ages of zero to seven. You do the best you can, but once they reach the toddler stage, it’s almost impossible to keep a constant eye on them. Thus, the most common reasons for dental injuries between the aforementioned age group are items located around the household. 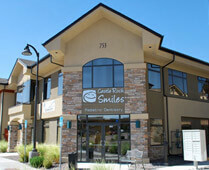 Thankfully, your pediatric dentist in Castle Rock has some tips to aid in preventing these accidents. It is natural for your toddlers to explore as they are learning how to crawl, walk and climb on things. Thus, your home can become one endless adventure for them, where they seek to discover something new every second of the day. Safety Latches – It’s quite common for children to open a cabinet door and leave it open, which can easily become an injury risk because they can run into it while playing. Adding latches will prevent them from opening cabinets and possibly causing an emergency. Safety Gates – Placing safety gates at the top and bottom of stairs can prevent terrible falls that could cause serious dental damage. Corner and Edge Bumpers – The edges of tables can pose great danger to your children’s health because just a slip can lead to blunt trauma to the mouth and other parts of the body. Corner and edge bumpers offer excellent preventive measures to protect your little ones as they run and play. 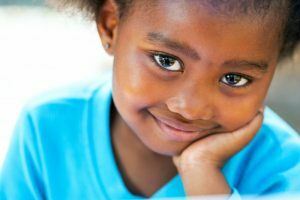 Furniture Away from Windows – The light shining in from outside can be very enticing for children, which may encourage them to climb furniture to see it. This is dangerous because it makes them more susceptible to falling. To prevent this, try to move any furniture away from windows. Prevent Furniture from Tipping – Because children will try to climb the moment you turn your back, it’s best to secure your furniture to prevent bookcases, shelving and other pieces from tipping over. By keeping these tips in mind, you can lessen the stress that you have to endure as a parent and protect your children. In the event of a dental emergency, reach out immediately to your dentist for kids in Castle Rock so he can determine what is the best course of action to restore your children’s healthy oral state. Watching your children grow and learn should be a beautiful experience. By working with your local dentist, you can be sure that they have excellent oral health and are protected for years to come. Dr. Layne Benzley received his Bachelor of Science degree in Economics from Brigham Young University and then went on to earn his Doctor of Dental Surgery degree from the University of Iowa. He would then go on to acquire his pediatric dental specialty certificate from the Eastman Dental Center at the University of Rochester. 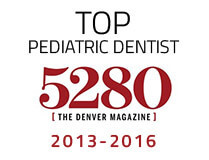 Also certified as a Diplomate of the American Board of Pediatric Dentistry, Dr. Benzley practices at Castle Rock Smiles and can be reached for more information through his website.